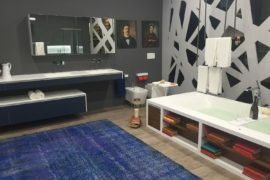 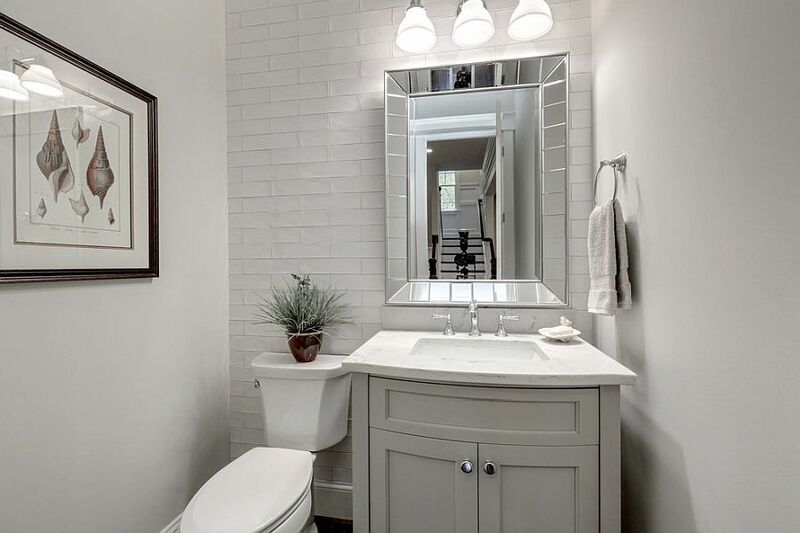 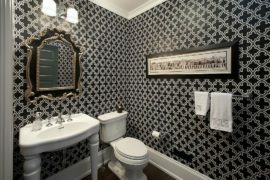 The line between traditional bathrooms and powder rooms is quickly getting blurred these days and what we once considered as mere powder rooms are now more or less masquerading as tiny bathrooms! 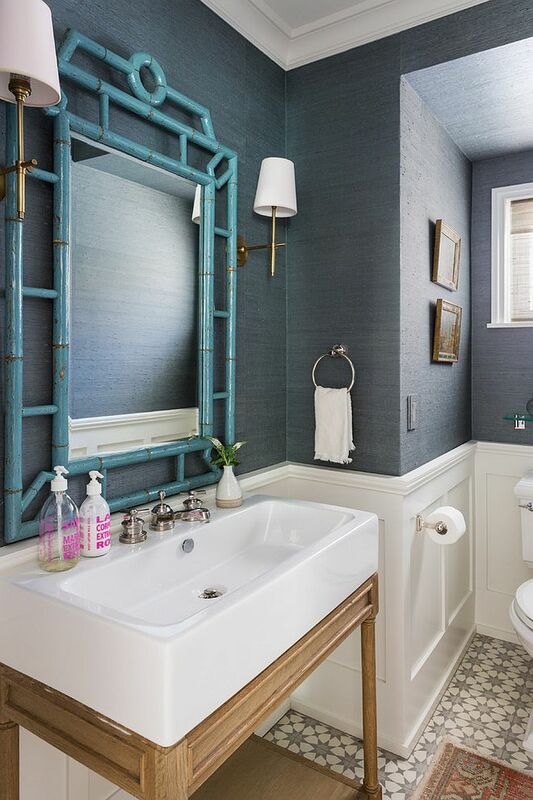 Of course, a smart and elegant powder room still has a charm of its own. 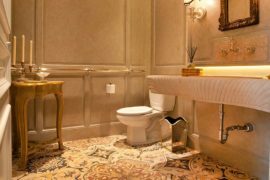 It feels exquisite, elegant and no matter the style you choose, there is always a certain sense of refinement in there that never gets lost. 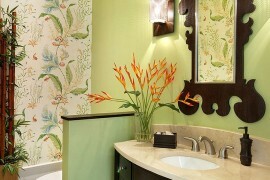 It is a great way to impress your guests as well and a stunning powder room makes a big impact irrespective of its size. 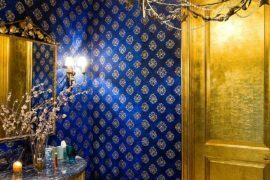 For those looking to create one as we head into fall or homeowners wanting to revamp their existing powder room, here are 20 fabulous ideas in two of the trendiest hues. 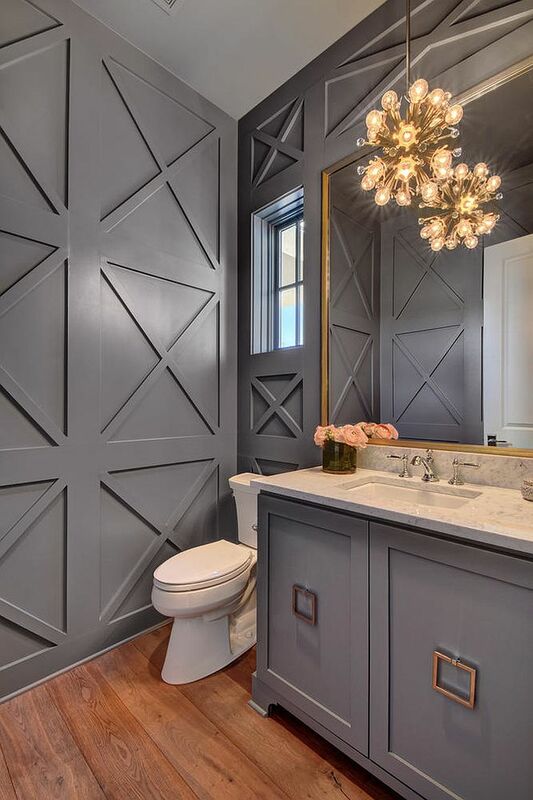 If you are a design aficionado then there is absolutely no way you would not have tried gray already in your home. 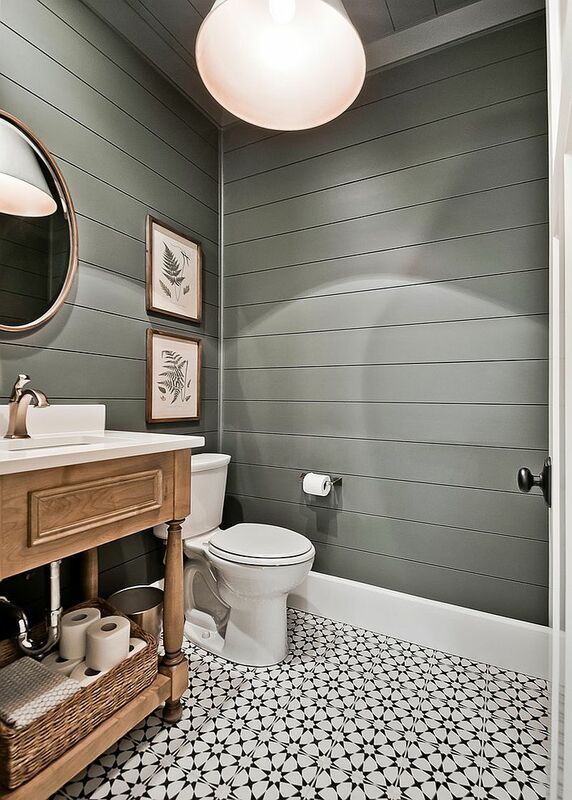 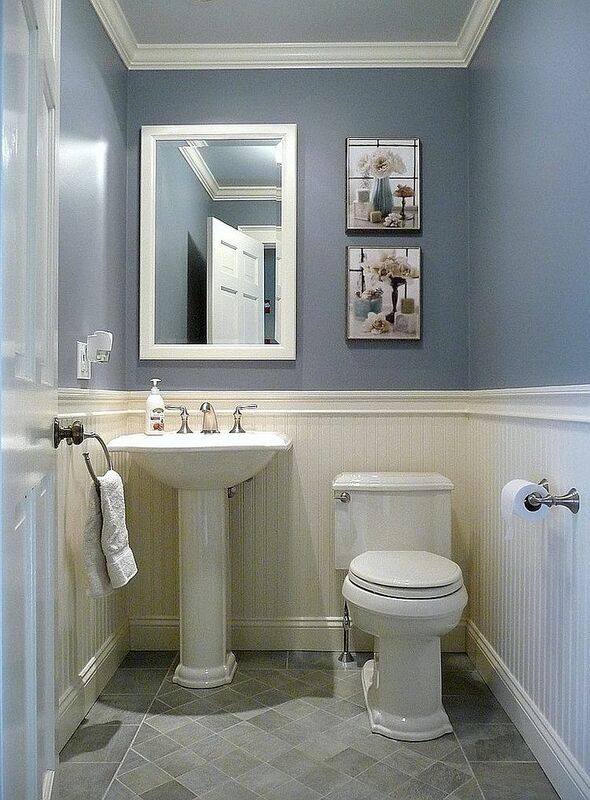 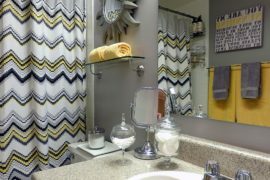 Pick from the many brilliant and versatile shades of gray and give the powder room a gorgeous and urbane overhaul. 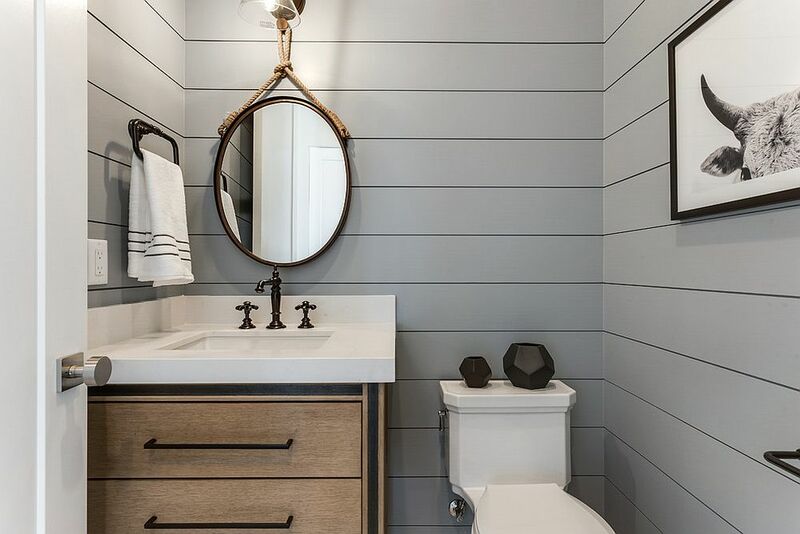 Even if you are shooting for styles such as rustic, farmhouse or traditional, gray feels great pretty much in every setting. 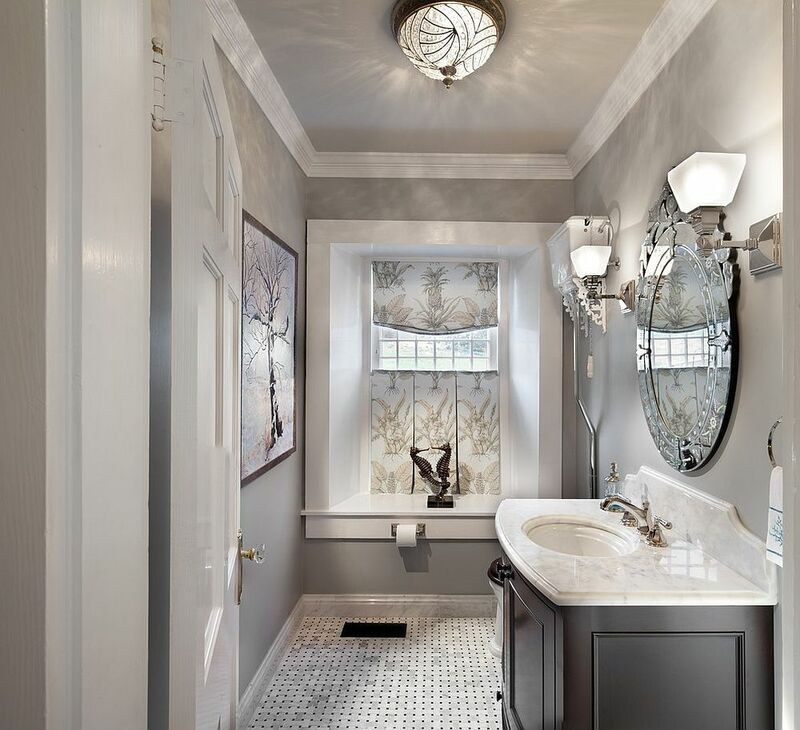 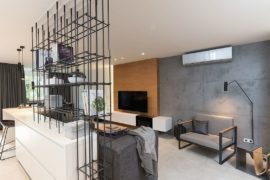 It can be coupled with accents and décor from the particular style and a balance with white can easily allow you to use gray in diverse settings. 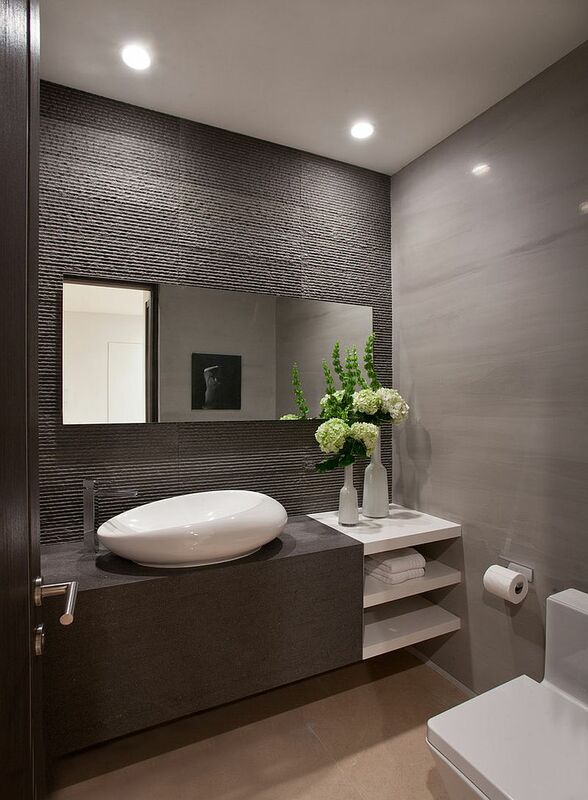 Combining gray with white is an easy choice and this allows gray to shine through visually. 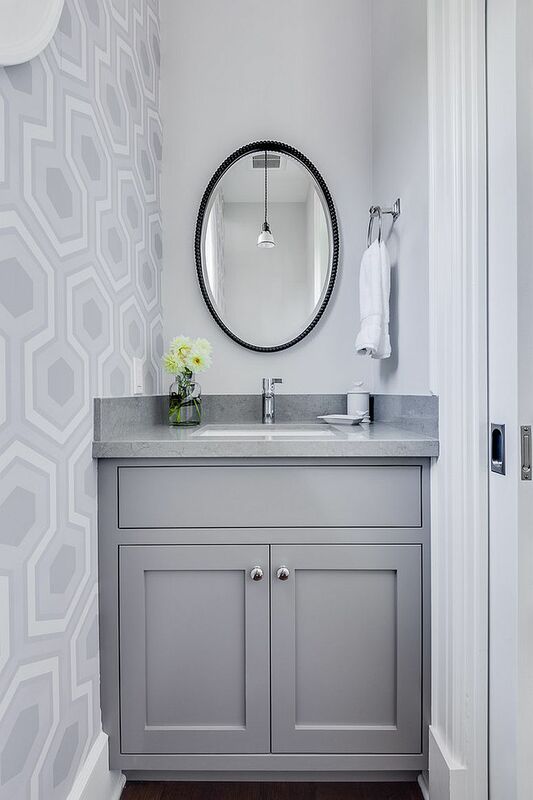 Wooden vanities and marble countertops also feel much more elegant when combined with gray in the backdrop. 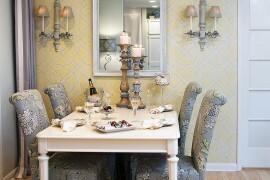 For those who adore color, accents that can be changed with altering seasons and trends are the best option. 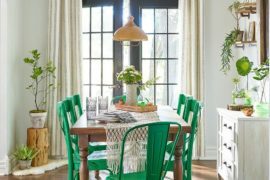 Turquoise is a color that instantly evokes images of summer, holidays on the beach and an undeniable beach style flavor that you just cannot ignore. 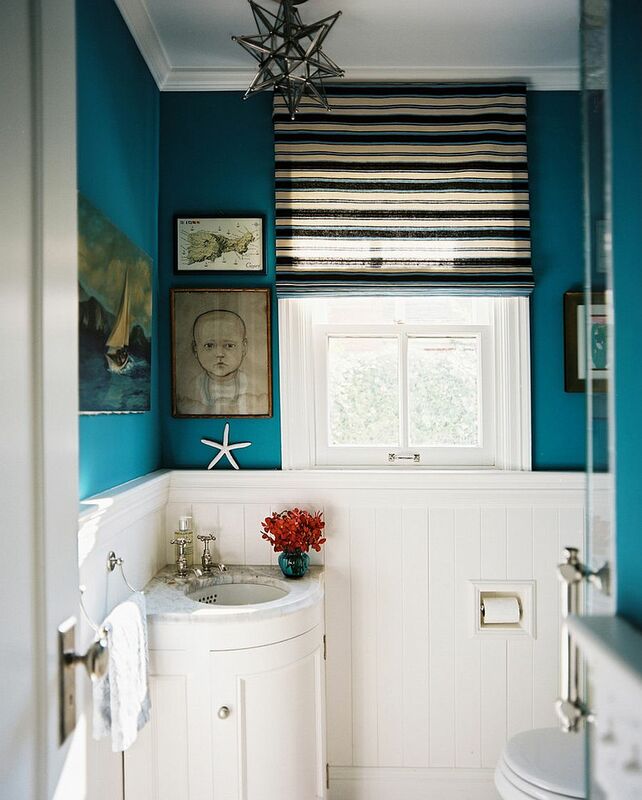 But the many shades of turquoise can be used in multiple styles and themes without taking away from them. 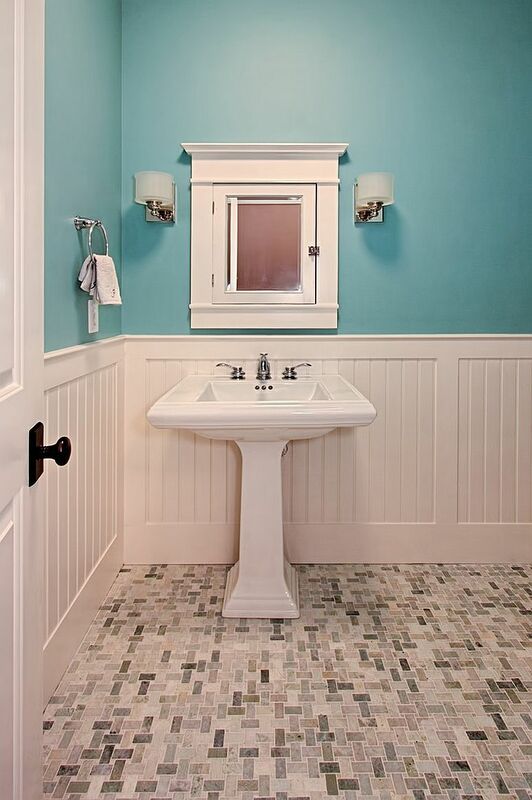 Again white is your best friend here as it pretty much blends with any shade of turquoise and works with all styles. 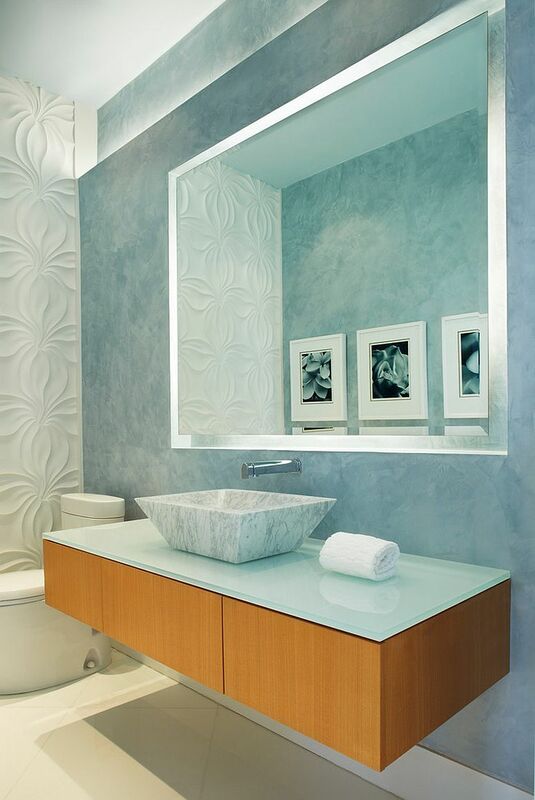 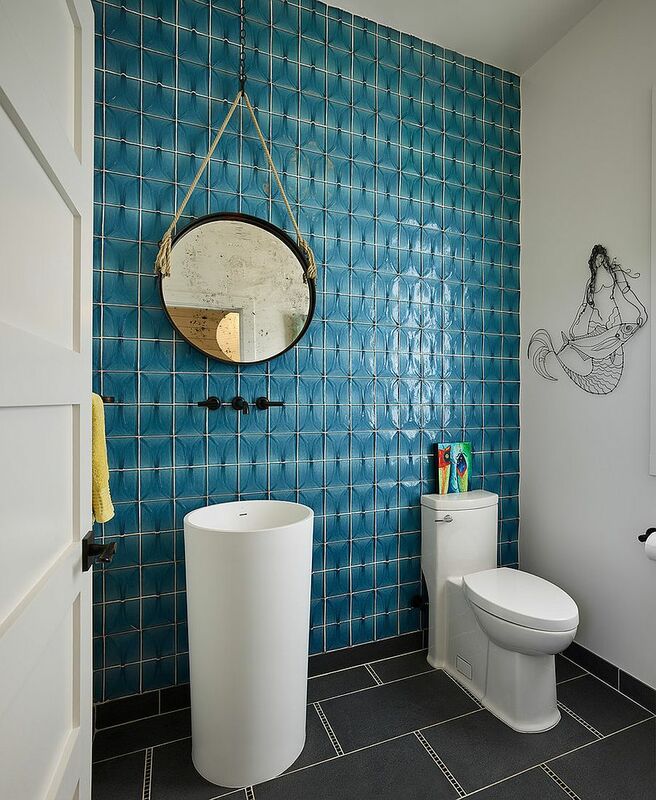 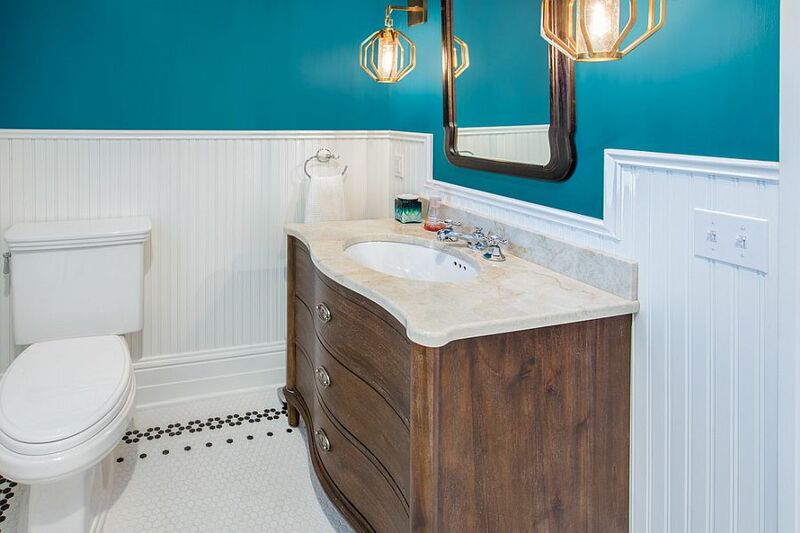 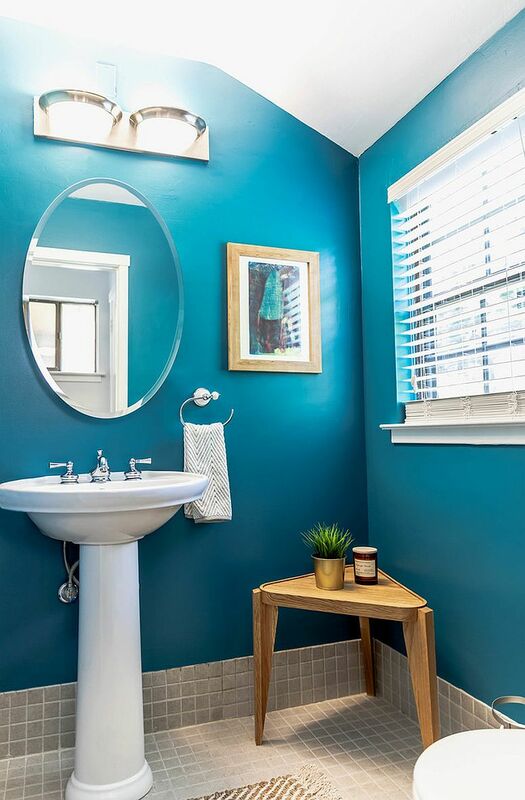 Those who want just a hint of turquoise in their largely neutral powder room can start with the tiny vanity in turquoise or an accent wall in the color before committing to it fully. 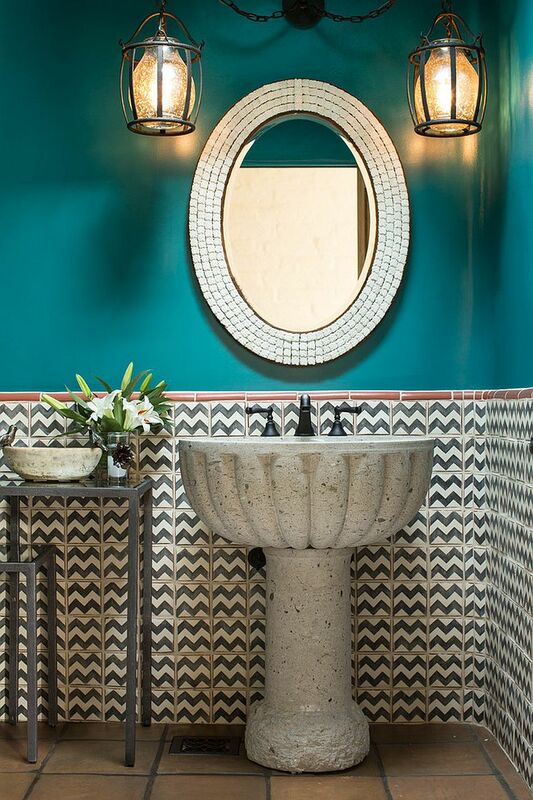 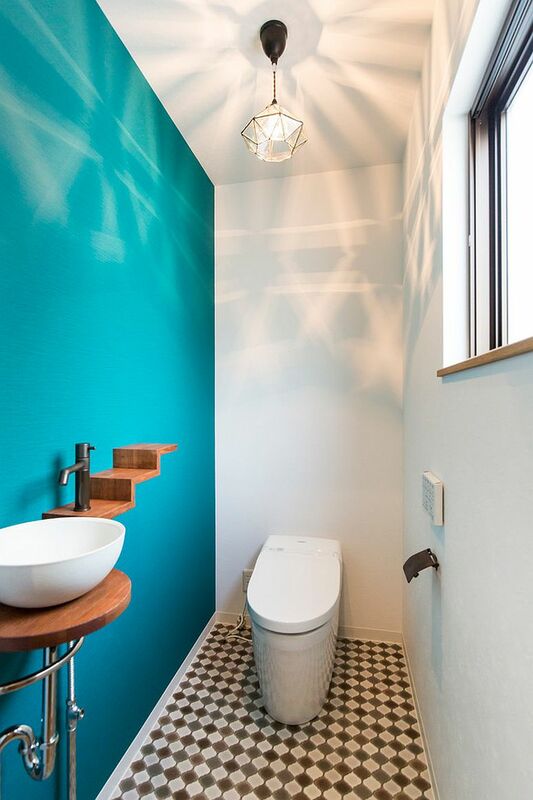 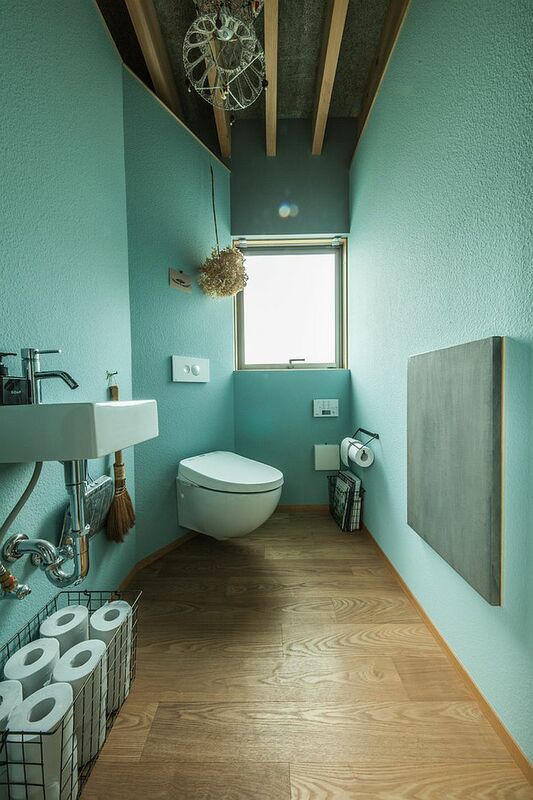 When using turquoise in the bathroom, one must make sure that the lighting is even and sufficiently bright. 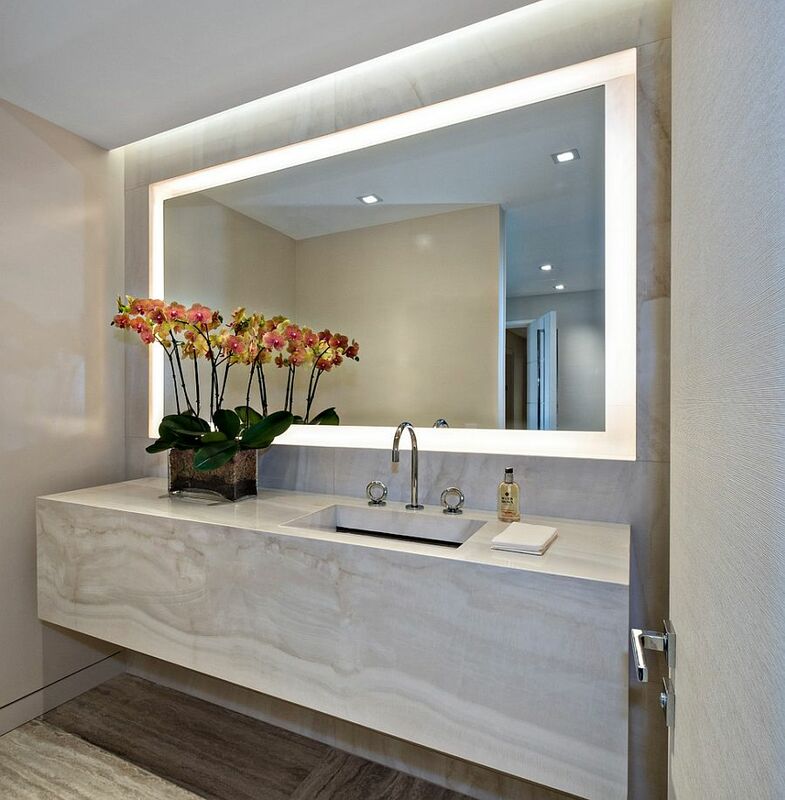 Natural light is always the best option and an even layer of recessed lighting can take over after sunset. 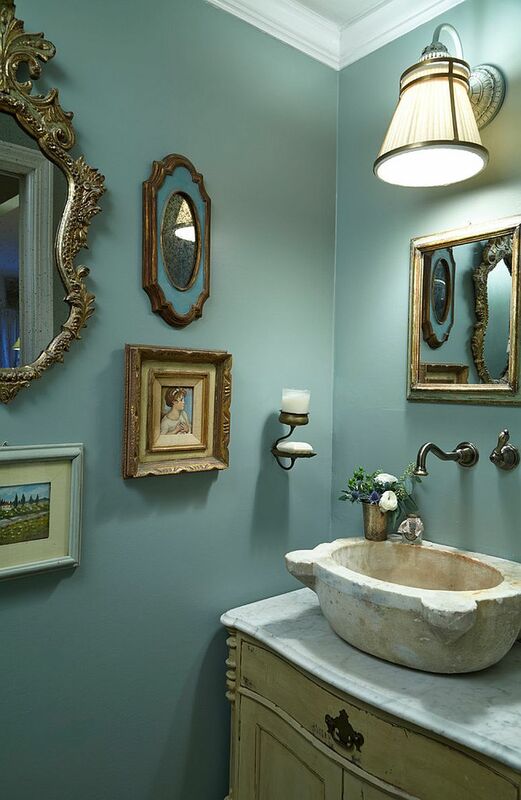 Pendants and sconce lights next to the vanity and mirror can add to this sense of cheerfulness.